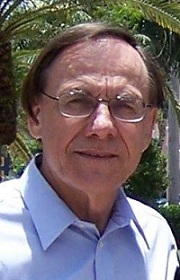 Dr. Paul R. Peluso is Department Chair and Professor of Clinical Mental Health Counseling at Florida Atlantic University. He received his doctorate in Counselor Education and Human Development and Ed.S. in Professional Counseling from Georgia State University. Dr. Peluso is a licensed mental health counselor and marriage and family therapist, a national certified counselor, as well as a qualified supervisor in MHC, MFT, and AAMFT in the State of Florida. In addition, he currently serves as the editor-in-chief of Measurement and Evaluation in Counseling and Development, as well as acts as President of the International Association for Marriage and Family Counselors (IAMFC), a division of the American Counseling Association (ACA). Dr. Peluso has authored several books, including Advanced Principles of Counseling and Psychotherapy: Learning, Integrating, and Consolidating the Nonlinear Thinking of Master Practitioners. An award-winning researcher, he has received recognitions from organizations such as IAMFC, ACA, and the Association for Assessment in Counseling and Education (AACE). Dr. Peluso has lectured both nationally and internationally, and has also been featured in several media outlets including The Wall Street Journal and Counseling Today. Email Dr. Peluso or visit his faculty page or personal website. 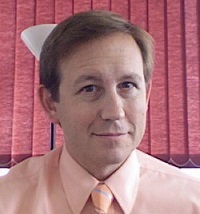 Dr. Brian S. Canfield is Professor of Clinical Mental Health Counseling at Florida Atlantic University. He received his B.A. in psychology and M.A. in counseling from Louisiana Tech University, and his doctorate in Counseling and Guidance from Texas A&M University at Commerce. Dr. Canfield is a licensed marriage and family therapist (FL and LA,) a licensed professional counselor (LA,) a licensed psychologist (AR,) a certified master addiction counselor, and a clinical fellow and approved supervisor of the American Association of Marriage and Family Therapy. Dr. Canfield’s research and scholarly contributions are widely cited in the professional literature and his co-authored book Group Work: Cybernetic, Constructivist and Social Constructionist Perspectives is used in a number of clinical training programs throughout the USA and abroad. He is regularly invited as a keynote speaker and presenter at state, national, and international conferences. His international activities in the field of counseling have included presenting workshops and consulting with professional groups in Mexico, Rwanda, Australia, Malaysia, Cyprus, Bahamas, Italy, Germany, the United Kingdom, and Turkey. Dr. Carman Gill is Associate Professor of Clinical Mental Health Counseling at Florida Atlantic University. She has extensive counseling and related experience including crisis services manager, inpatient unit counselor, crisis services clinician (covering three hospital emergency departments), and UNC-G university clinic counselor. Dr. Gill has presented locally, nationally, and internationally on a variety of theoretical and research based topics, with her primary area of research being spirituality and counseling. She is a co-author of DSM-5: Learning Companion for Counselors, a textbook published by the American Counseling Association (ACA). Dr. Gill is a member of ACA, the Association for Counselor Education and Supervision (ACES), and the Association for Spiritual, Ethical, and Religious Values in Counseling (ASERVIC). She has worked for ASERVIC as newsletter editor, secretary, board member, membership committee co-chair, conference committee co-chair and is a past president of that organization. Dr. Kelly Emelianchik-Key is Assistant Professor in the Clinical Mental Health Counseling Program and serves as the practicum coordinator. She received her Bachelor of Science degree from Florida Atlantic University, her Master's and Educational Specialist degrees in Mental Health Counseling from the University of Florida, and her Doctorate in Counselor Education and Supervision from Old Dominion University. As a licensed mental health counselor and nationally certified counselor, Dr. Emelianchik-Key has experience working with diverse populations, such as children, teens, couples, college students, and families. She has worked in a variety of capacities and settings, including but not limited to: inpatient facilities, community agencies, and private practices. 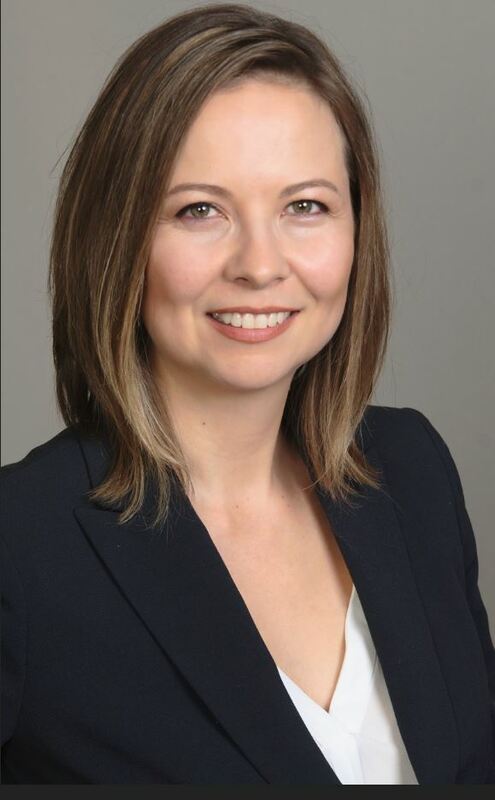 Dr. Emelianchik-Key is an engaged member of the counseling community via her work with clients, teaching, research, providing clinical supervision, and serving on editorial boards. She is an active member of several national and state professional organizations, in addition to having several peer reviewed journal publications, book contributions, and national presentations. Dr. Michael Frain is Professor of Clinical Rehabilitation Counseling and a Certified Rehabilitation Counselor (CRC). He earned his Ph.D. from the University of Wisconsin - Madison. He is a published leader within the field of Rehabilitation Psychology, and has produced over 50 peer reviewed journal articles. Email Dr. Frain, or visit his faculty page. 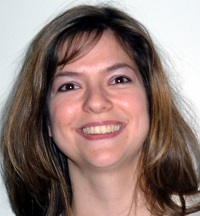 Dr. Ayse Torres is Assistant Professor of Clinical Rehabilitation Counseling at Florida Atlantic University. Dr. Torres has worked in various counseling and leadership roles in public rehabilitation counseling settings. As a certified rehabilitation counselor, she has gained extensive experience in working with individuals with a wide range of physical and mental disabilities. Dr. Torres’s research has focused on investigating evidence-based practices in clinical rehabilitation counseling, and on the integration of veterans with disabilities into communities. She developed a motivational interviewing training for rehabilitation counselors and trained counselors throughout the State of Florida. 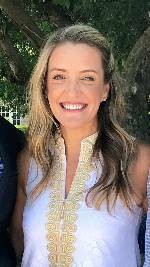 In recognition for the contribution from her research to the field of Counselor Education, her dissertation recently won the 2018 Florida Atlantic University, College of Education, Outstanding Dissertation award. 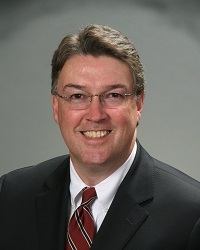 Dr. Greg Brigman is Professor of School Counseling at Florida Atlantic University and has been a counselor educator and researcher for 20 years. Dr. Brigman has extensive experience as a classroom teacher, school counselor, staff development trainer, and curriculum researcher. He consults with school districts to evaluate the impact of school counselor and teacher led evidence-based programs to improve student performance. 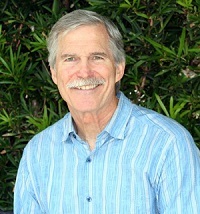 Dr. Brigman has trained over 5,000 teachers and school counselors in the Student Success Skills curriculum he co-authored and has published extensively in major professional journals on his work evaluating the impact of teaching students critical cognitive, social and self-management skills on achievement and behavior. Over three million students have used his SSS program to improve math, reading, and pro-social behavior. He has received numerous research awards and was the CO-PI on a recent 4 year, 2.7 million dollar U.S. Department of Education IES grant. The Student Success Skills curriculum is one of only six top rated evidence-based programs cited in the recent CASEL Guideline for Evidence-based SEL programs. Descriptions of Dr. Brigman’s K-12 SSS model can be found at www.studentsuccessskills.com. Email Dr. Brigman or visit his faculty page. Dr. Elizabeth Villares is Professor of School Counseling in the Department of Counselor Education at Florida Atlantic University. She has worked as a teacher, school counselor, and guidance director at the secondary level. Her area of specialization includes counseling children and adolescents, integrating technology in school counseling programs to improve data driven practices, and collaborating with school counselors to develop action research, outcome research, and program evaluation projects. Dr. Villares is also interested in the implementation of school counselor led evidence-based programs that lead to an improvement in student achievement. Email Dr. Villares or visit her faculty page. 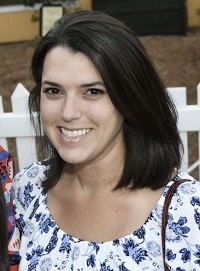 Dr. Melissa Mariani is Assistant Professor of School Counseling in the Department of Counselor Education at Florida Atlantic University, where she also received her Ph.D. in Counseling. She has a wealth of experience in the field of school counseling, having worked as a school counselor and guidance program/testing coordinator for close to a decade. Currently, she is on the editorial board of a number of peer-reviewed journals, including Journal for Counselor Preparation and Supervision, Journal of Employment Counseling, and Journal of School Counseling. Recently, Dr. Mariani was recognized by Florida Atlantic University and the FAU College of Education as the 2016 Scholar of the Year (Assistant Professor level). She has presented regionally, nationally, and internationally on the subjects of student success skills, school counseling interventions and outcome research, evidence-based guidance programs, higher education and K-12 collaboration, and cultural sensitivity in school counselor education. 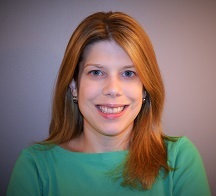 Dr. Hannah Bowers is Assistant Professor of School Counseling at Florida Atlantic University. Dr. Bowers has been working with children and families for the past seven years, both as a marriage and family therapist and a school counselor. Her research thus far has focused on investigating school counseling programs and interventions that are aligned with the ASCA National Model, and which advocate for the school counseling profession, and engage the entirety of the school system. Dr. Bowers was recently selected as an Emerging Leader for the Association of Humanistic Counseling and promoted to Associate Editor of the Journal of Humanistic Counseling. She is excited for her recent return to South Florida and looks forward to further engaging with the local and regional counseling community. Interventions that improve social and emotional learning and cognitive functions.